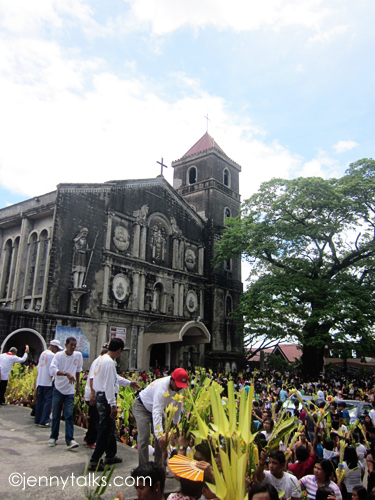 Today is Holy Wednesday and just like many Catholics around the globe, we are observing Holy Week. During this week, there are various Lenten activities that devotees can join and one is the PABASA or the reading of the Passion. Pabasa ng Pasyon ("Reading of the Passion"), known simply as Pabasa (literally "Reading", but is specifically a "sponsored reading-and-chanting ritual") is a Holy Week practice in the Philippines that involves the chanted or sung reading of the narrative of the life, passion, death, and resurrection of Jesus Christ. You could see "huts"or make shift pabasa area in the neighborhood where anyone is welcome to read with a chanting sound. These days, some areas do the reading by singing wherein there are several microphones and even a guitarist playing the guitar. However some people don't agree by this kind of reading because some younger generation change the melody making it more contemporary losing the old tradition. I just hope they will not do it the rock way as a sign of respect. I just hope this pabasa tradition will be pass on from one generation to generation. 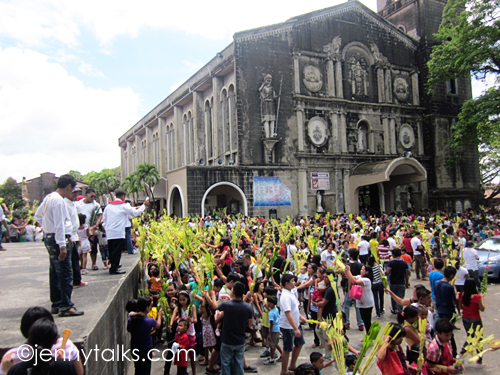 It was Palm Sunday last March 24th and this year Holy Week started early unlike the previous years. As a tradition, we always attend the Palm Sunday mass with my family. Before entering the church, we always buy "palaspas"or the decorative palm fronds. Palm Sunday is the commemoration of the arrival of the Lord Jesus Christ to Jerusalem and Catholics all over the world is celebrating it. Our palaspas are blessed after every mass outside our church for there are many churchgoers who would love to have their palaspas blessed. Being in debt is one of the greatest causes of stress in everyday life. The feelings of helplessness and frustration can be overwhelming, and it can seem like there’s no way out. 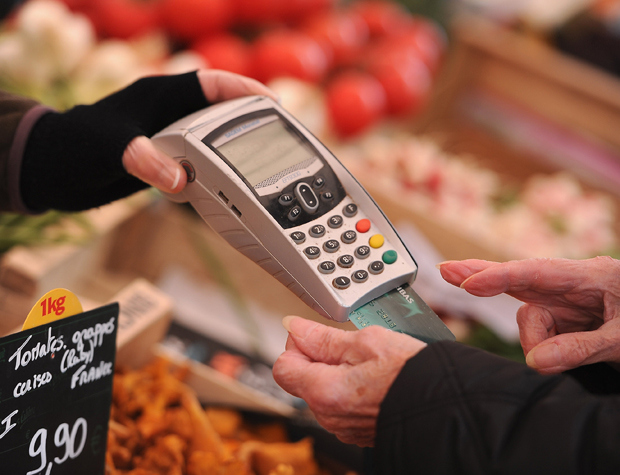 Luckily, there are a range of solutions for anyone who is experiencing problems with debt. One of the most popular options is to consolidate your debt. If you’re struggling with debt, you might be wondering if you qualify for a debt consolidation loan, so here’s some further information. Debt consolidation provides a simpler solution to managing what you owe. By rolling all of your debt into one loan, you only have to worry about dealing with one creditor. The one monthly payment makes it easier to keep track of exactly how much you are paying per month, and keep the payments up to date. By focusing on one loan, you will also be able to increase your repayments when it suits you, and know that it is all working to reduce your total level of debt. This is far more efficient than trying to calculate which loan has the highest interest and attempting to pay it off first, sometimes to the detriment of your other debts. In addition, the interest rate on your consolidation loan is likely to be lower than that of any credit cards you are currently trying to pay off. What Kind of Debt Qualifies for a Consolidation Loan? You can consider a debt consolidation loan for all of your unsecured personal loans, store cards and credit cards. You will then be left with one simple monthly repayment at a low rate of interest, taking the stress out of organising multiple payments at varying rates of interest. One loan also means only one set of fees, which can make a significant difference in the long term. What Would Work Against Me? There are a number of factors that a financial institution will take into account when they assess your application for a consolidation loan. Unfortunately, you are unlikely to qualify if you have any history of late payments, are not in regular employment or have a bad credit record. This can make it difficult for people who are self-employed or work from home to qualify for a consolidation loan. It’s also a challenge for anyone who has ever had trouble meeting their payment deadlines, no matter how temporary the situation may have been. If you are in default on any of your other loan payments, or have been bankrupt in the last ten years, it is likely that you will not qualify for this kind of loan. If you are refused a debt consolidation loan, or simply want some more advice on how you should proceed, consult a professional provider of debt solutions such as Fox Symes. As the number one provider of debt consolidation solutions within Australia, they are able to help you regain control of your finances for good. For more information on how you can eradicate your debt, receive budgeting assistance and information on a range of important topics, visit http://www.foxsymes.com.au and see why they are Australia’s most trusted debt solutions specialists. Fox Symes is committed to helping struggling Australians eradicate their debt for good. School break and summer vacation are here.. Kids need to be pre-occupied so that they will not get bored. I have posted some summer activities for kids and I know your kids can choose what they like. Like what I said earlier, let your kids choose what they want to learn this summer vacation so they can enjoy what they like. My 9-year old niece loves drawing and craft making so she's into it already. 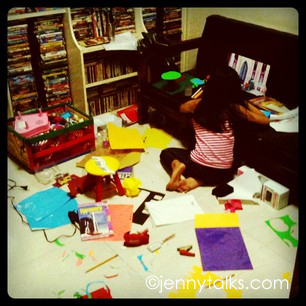 Their house is a mess all the time with all her papers, crayons and other craft materials and she enjoyed doing it alone. My older brother is a visual artist and he is planning of having an art class in their place and my niece will be part of it soon. Oh yes.. it's definitely summer now here in our part of the world. Aside from that, kids are now off from their school and not only means that they will be bored to death during their 2 months vacation. Kids should enjoy their break and to make them more productive and busy this summer, enrolling them on various fun activities can really help them. 2. Karate, Taekwondo, Judo etc. 4. Music related activities: singing, dancing, playing the instruments, and more. Let them decide what they really like to learn so they can put their hearts into it. If they want to play the drum, let them. Encourage and support your children. 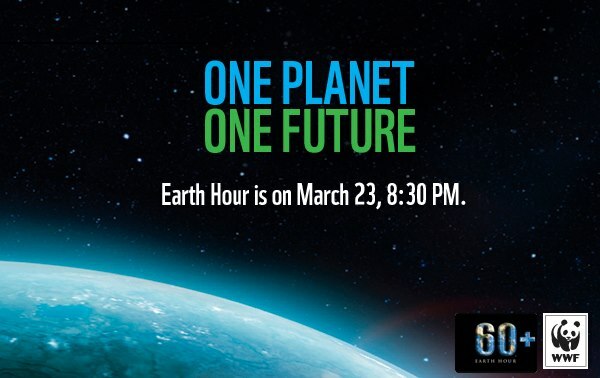 Earth Hour is celebrated worldwide and this year it was done last Saturday March 23, 2013. At exactly 8:30 pm, I closed all our lights (but TV was on for a while lol) and told my mom that we'll be joining once again. I just let her watch TV and later on she closed it too and just went to her bed. Total darkness... so I just opened our emergency light on so we still have a light but w/o using the electricity. This is our way of joining and helping save Mother Earth even just for an hour of closing the lights. I just hope that next year, I will be joining once again. For our family, owning a vehicle is very necessary for we have a relatively big one. Going to our store/shop which is few kilometres away from home everyday can be done riding a jeepney but when we need to bring some big or heavy stuff there; our vehicles prove to be very practical to bring. Not only it can save as a lot of travel time, all the things that we need to bring can be easily transported comfortably. My dad used to sell second hand cars when he was still alive and up to this day my older brothers wished they can do the same. Our family owns 2 vehicles at the moment, both are Toyota brand (Tamaraw and Lite Ace). The Tamaraw has been serving us for the last 20+ years and still running up to now eventhough it has some minor problems, which is expected anyway due to lengthy and extensive usage. The Lite Ace one was running for 4 years now but mom has decided to sell it soon so she can buy a new one. With all the years of service that our Toyota vehicles have given us, there’s no doubt that we wanted to have another Toyota brand just in case we are going to buy another one. We can attest to the durability and performance of their vehicles. Getting a new car also requires careful research and comparison. Always try to go to different auto shops and compare each vehicle’s specs, prices and other details. Bring along someone who knows something about cars so you can get some advice and insights as well. You can also try new car comparisons side by side online so you can compare Toyota to other Toyota models and car brands. Get as much info about the specific brand and model that you like before deciding what to buy. In that way, you’ll have a greater chance of buying the car that will really suit your budget and lifestyle. 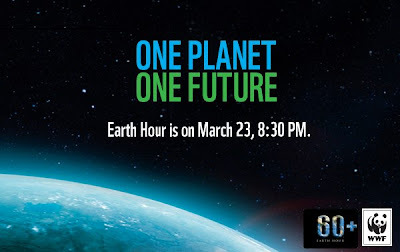 I think we joined EARTH HOUR for few years already and for sure this year we'll we joining once again. It's our small effort in saving some energy and joining the global movement. My 2 brothers who are both visual artists are preparing for another art exhibit in our area. My older brother who won some awards on various national contests is making his new masterpiece to be included in the exhibit. My other bro who won in the PSE National Art competition in the sculpture category is thinking of making another sculpture made of wood that may include grippers, nuts or bolts but also having second thoughts. Just last weekend, I saw him making his new canvass, I think he's just make a painting this time. They will exhibit their art at another friend's art gallery/cafe and they are hoping that some art enthusiasts and lover can buy some of their artworks. Keeping our fingers crossed. Sophie was so excited when she sensed that we will bring her for a ride. She knew that she'll ride our van once again and we'll be in my brother's place again. Too bad she had to be on her leash the whole time that are there for my brother's cat just gave birth and we don;t want her to chase all those poor kitties. I know that she will not let cats for she hates them :(. Anyway, she didn't know that it was also the day for her vaccination. On our way home, we stopped by her vet to have her vaccination and as soon as she saw the clinic she was trembling already. She already knew that she will get "hurt" again bec. of the vaccines. I hold her tight but the helper and the asst. vet told me that they will hold her for the injection. She didn't cry this time but she appeared frightened. As usual she felt a little bit weak that night bec. of the injection so I have to watch her and let her sleep in the house. I just hope that all dog owners have their dogs vaccinated for we don't know if they can bite someone. Rabies can kill so it's advisable to have your dog get the rabies shot. It's not that expensive for it costs only P250.